Have the DIY Spirit and a tight budget? 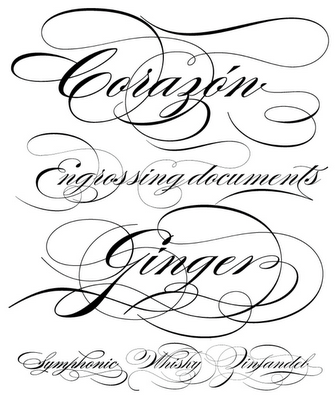 If hand-calligraphy is not an option for your event or need, consider using a script typeface. There are many out there at an affordable price and available for download. Print envelopes on your home printer using a script; it'll give the same feeling that handwriting does (but it will not cost you several dollars per envelope). I personally love the above script, Burgues. It has so much character and so many characters that you can customize your project as little or as much as you want. Available at Veer, I'm looking for a project to use this on because it's so beautiful! Of all the scripts, this one is not super girly - I think it's because of the variations in stroke weight and triangles to dot the "i".